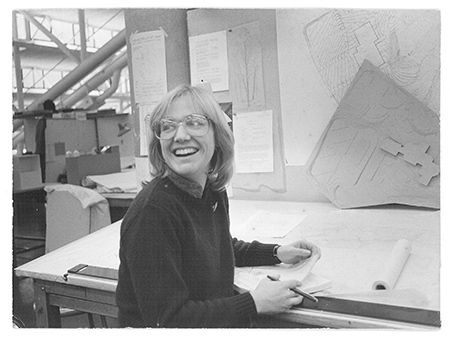 There has been much discussion raised about "Why are women leaving Architecture? and more broadly, Why is the profession losing key talent?" Both women and men practitioners are disillusioned by the myth of work/life balance: Women are grappling with "have it all" expectations of juggling family time with the demands of full-time work. Men are struggling to support their families solely on an architect's salary and fall back on asking spouses to maintain their jobs. The lack of affordable childcare and high cost of living only magnifies the challenges. How did we end up in this modern family dilemma? What can we do to improve the situation? On average, the survey should take 20-25 minutes to complete. ACSA is serving again as the research partner for the project, completing survey analysis from April to August in 2018. The survey findings will be first revealed at Equity by Design's fifth Symposium on November 3, 2018, in San Francisco. INSPIRE% [08}: Elizabeth Shreeve spoke with Mia Scharphie of Build Yourself, and a content partner and collaborator of Equity by Design. 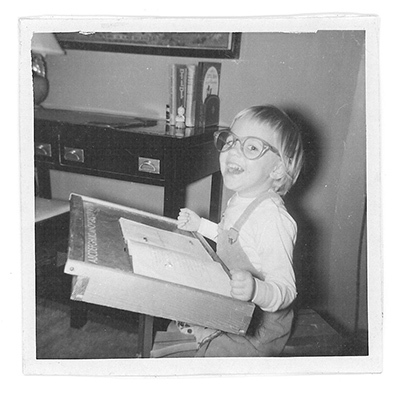 Elizabeth Shreeve, design principal at the SWA Group is a woman with many creative interests. 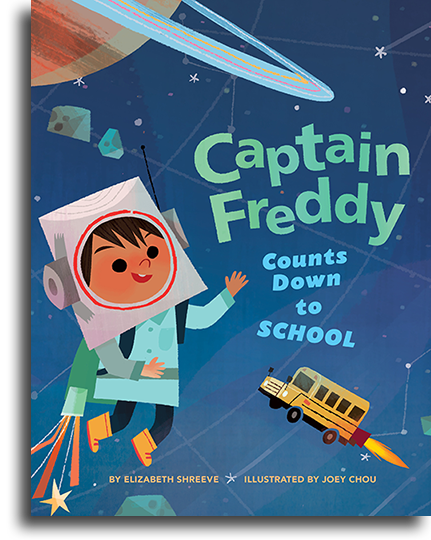 Her passion in both arts and science led her to study architecture, and today she’s a design principal, a published children’s book author inspired by her observations as a parent. 1. Can you tell us a little bit about who you are and what you do? I am an urban planner and designer, and a leader in SWA Group’s San Francisco and Sausalito studios. I focus on urban infill and revitalization, campus planning, public outreach and communications, and have a special interest in health. 2. Why did you choose to study Landscape Architecture? My interest in natural systems led me to major in geology in college, where I soaked up art history and studio art classes as well. The two came together in landscape architecture. 3. What Inspires you on a daily basis? Outdoor places, from my overgrown hillside garden to the wide open San Francisco Bay. And my wonderful colleagues at SWA, a bunch of wonderful design nerds. 4. What are 3 of your most influential projects and Why? Guthrie Green, an urban park in Tulsa, Oklahoma, transformed a brownfield truck yard into a widely popular gathering place for outdoor concerts, fountains, art, farmers markets and food trucks. A geo-thermal exchange system under the park supplies heating and cooling for the adjacent nonprofit arts organizations. UC Davis West Village is the first zero net energy planned community in the United States. In the implementation planning phase, the public-private partnership team of developer and University realized that we could go beyond sustainable design to achieve net zero. That was an exciting moment. Currently I’m leading SWA’s work on the San Francisco State University campus plan update. Time will tell how influential the project is, but I’m also super excited by what I’m doing right now. SF State is a wonderfully diverse community and the campus landscape of historic valleys and forested slopes is challenging and intriguing for our design group. 5. What is the greatest challenge/difficulty that you have had to overcome in your professional career? When younger, I was afraid to make mistakes. This led me to fall back on what was comfortable and came easily, rather than taking risks. 6. What do you believe has been one of your greatest accomplishments to date? Why? With the help of my wonderful husband, I managed to function as a principal at SWA while raising three amazing sons. 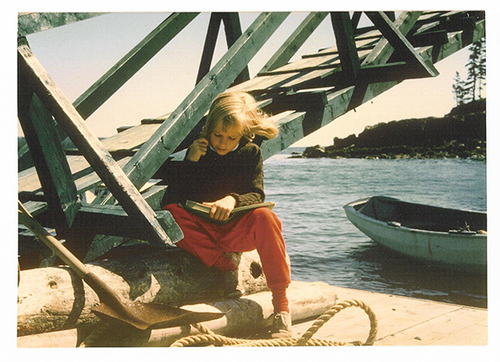 And somewhere in there I got hooked on writing stories for children, some of which have made their way into publication. Check it out: www.elizabethshreeve.com. While it may seem like my role as a principal, and my work as an author are entirely separate, the creative process is the same whether you're coming up with a design or you're conjuring up a story. Like I learned in design, you need to give yourself a chance and let the design emerge from the sort of messy, creative process of trying things, brainstorming, failing, reaching dead ends, and then getting a better idea. Then at a certain point the project gets taken over by others. With an architectural design, it gets taken over by people who have stronger technical skills than I do and they turn it into something more specific and more precise, with tools like 3d modelling, and they make it even better. The same thing happens with a story. You develop it and then the publisher takes it and gets an illustrator on board and all of a sudden the illustrator is bringing ideas to the table that you wouldn't have thought of. That's why a publisher keeps you apart from an illustrator in children’s books. They want the artist to bring their own magic to the process. 7. If you could go back in time, what would you tell your 24 year-old self? I think as you master a craft, you can go one of two ways. You can go in the direction of becoming more regimented, or you can go in the direction of allowing yourself more freedom. I think that creative writing gave me the permission to loosen up a little bit and have more confidence and mastery. The other thing that writing taught me is you really need to work from your heart. You need to work on things that you care about. In the beginning of my career I felt so grateful to have a job, and later, while raising three sons, I found a niche that was useful to my company and focused on accomplishing whatever needed to be done. As the kids got more independent I could get more creative and expand my range. So my advice is to be brave! Grab the marker and draw! Listen to the quiet, intuitive voice inside, trust your ideas, and let the creative process unfold. 8. What is the best advice that you ever received and how does that apply today? Stand up straight. Even if you are tired or clueless or confused. Let your body convince your mind to pay attention. 9. How do you see Architecture changing in the next 10-20 years? What would your role be in the future? Building architecture may become more prototyped; for example, look at trends in small, fantastic modular homes. Landscape will always be organic, though. As a planner I will be looking for ways to keep people connected to nature and place. Technology-free zoning? 10. We have heard that while the general public respects Architects, they have little knowledge about what we do. Do you have any thoughts about how we can bridge the gap? On Wednesday, January 3, 2018, Mia Scharphie will be running a free online session on how to set Ambitious & Creative Goals, and will be giving a preview of her course, Double Vision, which features Elizabeth Shreeve as a guest speaker. Find out more and RSVP here for the free session. What is "job-person fit," and why is it so important to career success? Clinical psychologists Michael Leiter and Christina Maslach argue that job-person fit is assessed using a web of interrelated career perceptions that have been shown to predict whether a respondent will become burned out or engaged in the future, and even whether they will ultimately leave their jobs. Anecdotally, those who work in jobs that they love, and in workplace cultures where they feel included and valued have found a good fit. Within architecture, fit can be elusive, with professionals from underrepresented groups and more junior employees facing particular challenges in finding the right fit. Within these groups, career perceptions tended to be less positive than they were for white men and more established professionals, and turnover rates tended to be higher. Even though underrepresented groups tended to face greater challenges relative to fit, the survey highlighted key factors that motivated or predicted "fit" regardless of personal identity. Firms that understand and respond to these factors may be able to boost career satisfaction and retention for all employees. Overall, we found that decisions to join and to stay at firms tended to be guided by respondents’ sense of alignment with a firm’s work, values, and culture. Those who were able to report that their work was meaningful and rewarding and relevant to long-term goals, and those who built strong relationships with peers and mentors at work through friendships, training, and shared decision-making were most likely to report that they were satisfied with their work culture, and were planning to stay in their current positions. Please use the arrows in the upper right-hand corner of slideshows below to learn more. Respondents tended to cite similar reasons for taking jobs, although women were slightly more likely to prioritize work-life flexibility, while men, and especially men of color, were slightly more likely to prioritize advancement opportunities. Respondents of color were more likely than white respondents to cite salary offered as a primary motivator in choosing their job. White male respondents were the least likely of any group to report taking a position based on “learning opportunities.” This difference, however, is largely explained by the difference in median experience level between white male and other respondents, as those starting their careers were more likely to report taking their jobs to capitalize on learning opportunities. Respondents reported working in firms ranging in size from sole proprietorships to large firms with over 1000 employees. The plurality of respondents worked in firms with fewer than 20 employees. Female respondents were more likely to report working in firms with fewer than 20 employees, while male respondents were more likely to report working in the largest firms. Respondents’ firm size was strongly correlated with their top reasons for taking their current jobs, with those in the smallest firms most likely to say that they had taken their jobs because they afforded work-life flexibility and because they shared values with their firms. Those working in the largest firms, meanwhile, were significantly more likely than those working in small firms to report that they had taken their position because of their firm’s reputation, project quality, salary offered, and advancement opportunities. These patterns are mirrored in the lived experiences of employees, with those working in the smallest firms reporting the highest average satisfaction with their work-life flexibility. Meanwhile, average salaries were largest within the largest firms and those working in the largest firms tended to have the most positive impressions of their firms’ promotion processes. There were also significant differences in firm size on the basis of race, with white, latinx, and multi-racial respondents most likely to work in firms with fewer than 20 employees. African American or Black respondents were slightly more likely to work in small and medium-sized firms, but had a similar overall distribution of firm sizes. Asian respondents, meanwhile, were most likely to work in medium firms, with 50-249 employees, and were also more likely than others to work in large and extra-large firms. On average, male respondents’ career perceptions were more positive than those of their female counterparts. When asked about the relative positivity or negativity of their career perceptions across 14 categories from “work –life flexibility” to “promotion process ”to their likelihood of staying at their job for the next year,” male respondents’ average perceptions were more positive than female respondents’ in every category. The largest gender gaps indicated significant differences between men’s and women’s likelihood of feeling energized by their work (male respondents 7% more likely), likelihood of “having a seat at the table”, or being included in one’s firm’s decision-making process (male respondents 6% more likely), and likelihood of planning to stay in one’s current job for the next year (male respondents 6% more likely). There were also areas of work-life that tended to be viewed more positively or negatively by all respondents: average perceptions of autonomy, satisfaction, and confidence tended to be most positive for respondents, while respondents’ average perceptions of their firms’ promotion processes, their work-life flexibility, and their workloads were least positive, on average. Male respondents perceptions were more positive, on average, than female respondents’ perceptions in each of these categories. We did not observe significant differences in career perceptions on the basis of race or ethnicity. There were also significant differences in career perceptions in several areas on the basis of race as well as gender. White men were most likely to agree with the statement “I am satisfied with my workplace culture,” with men of color, white women, and women of color each successively less likely to agree with this statement. While workplace culture was viewed more negatively on average, by female respondents and by respondents of color, neither gender nor race were top predictors of whether a respondent had a positive assessment of their culture. Instead, the beliefs that a respondent shared values with their employer, that they were engaged in the decision-making process, and that they found their work meaningful and rewarding were associated with positive assessments of firm culture. Female and non-white respondents were less likely than white male respondents to agree with each of these statements. This suggests that equity issues are often multi-faceted, and that organizations must address equity holistically by looking beyond issues of representation to address issues of access, relationships, and culture. The top predictor of whether or not a respondent was satisfied with their workplace culture was the degree to which they agreed or disagreed with the statement “My values and my company's values are alike.” According to a study conducted by Michael Leiter and Christina Maslach, sharing values with one’s company also tends to be the greatest overall predictor of job-person fit, and whether an individual will stay with their current company and be engaged in their work. It’s unfortunate, then, that white male respondents were significantly more likely than others to report that they shared their companies’ values, with women of color least likely to agree with this statement. Sharing values with one’s employer, meanwhile, was strongly correlated with a range of factors, with those who believed their day-to-day work was relevant to long term goals, those who received ongoing feedback about their work, those who received one-on-one coaching in preparation for new roles and responsibilities, and those who said that use of work-life benefits didn’t affect promotion within their firms most likely to agree that they shared values with their firm. Meanwhile, those who received no training, those without workplace friendships, and those who didn’t know their firm’s performance evaluation criteria were least likely to share values with their company. In short, those with strong, personalized relationships with peers and firm leadership were most likely to see an alignment of values. Workplace relationships were one of the greatest predictors of workplace culture assessment, with respondents who said that they didn’t have any relationships at work reporting 30% more negative perceptions of their firm culture than those who had workplace friendships. Fortunately, the vast majority of respondents reporting having social relationships at work, with over 70% reporting that they ate lunch or took breaks with coworkers, just over half of respondents reporting that they socialized with coworkers outside of work, and nearly half of respondents reporting that they had close friendships at work. There were slight differences in reported workplace relationships, with women of color least likely to report socializing with coworkers outside of work, and significantly less likely than white women, but slightly more likely than men, to report having close workplace friendships. Finally, a range of workplace culture initiatives were related to respondents’ perceptions of workplace culture, with respondents reporting that the most effective ways that their firms could promote workplace culture were by organizing social events, by providing space for taking breaks and eating lunch, and by sharing company goals and achievements with employees. As Maslach and Leiter have shown, these firm culture initiatives and other efforts to keep employees engaged and happy are ultimately important because they impact employee retention. On average, respondents had been with their current firms for 6.8 years. This mean is significantly above the median tenure of three years with a firm, in part because 20% of respondents had been with their firms for 11 years or longer, which pushed the mean higher. Average tenure increased with experience level, with average tenure equalling about half of total years of experience in the field at most experience levels. When asked why they had left their last jobs in the field, respondents cited “better opportunities elsewhere”, a “lack of advancement opportunities”, and “low pay” most frequently. While average tenure with one’s current firm was relatively high, we also found that a large number of respondents were considering leaving their current jobs. Overall, we approximately 1 out of 4 respondents reported that they were either somewhat or very likely to leave their firms within the next year. Several factors were strongly correlated with a respondent’s likelihood of planning to remain in their current position, with those who believed that their work was meaningful and rewarding, those who shared values with their company, those who reported feeling involved in their work, those who were given a seat at the table by being included in their firm’s decision-making process, and those who were satisfied with their workplace culture most likely to plan to stay in their current position. According to our respondents, the first few years in a career in architecture can present serious challenges. About half of those in our pool who had left careers in firms for work in other fields said that they had done so during the five years of their careers. Those who were still working through this period tended to perceive their careers differently than more seasoned professionals, with heightened probability of burnout and increased likelihood of planning to quit their current jobs. These retention issues should be of serious concern to those working to increase diversity within the profession, as the industry’s least experienced professionals are the most diverse pool of architecture school graduates in the field’s history. Ensuring that this pool of graduates can find satisfying, supportive working environments where they are able to build their careers is of great importance to the project of promoting equity and ensuring that the profession represents the diversity of our communities. Please use the arrows to click through the slideshows below to learn more. Within our sample, we saw a the greatest level of diversity amongst those with less than five years of experience, with decreasing racial, ethnic, and gender diversity in the field at each subsequent experience level. This phenomenon is explained, in part, because today’s graduating architecture classes are more diverse than they were previously, but it’s also possible that women and people of color are more likely to exit the field than white men are. In order to create and maintain a talent pipeline that reflects the diversity of our communities, employers and individuals alike should consider addressing several key challenges often faced by practitioners within the first five years of their careers in architecture. Even within the first several years of one’s career, there were clear gendered divisions in the office management tasks that respondents took on, with female respondents with less than 5 years experience more likely than their male counterparts to take on planning office events and managing the office library and less likely to take on more strategic tasks like firm project standards, strategic planning, or firm operations and management. While we were interested in the ways that roles and responsibilities were allocated within the population of early career professionals, we were also interested in the ways in which their experiences compared with those who had more experience. We found that, on the one hand, those early in their careers had more positive perceptions of workload and work life and were more optimistic about their futures. However, those early in their careers also tended to be less likely to find their work meaningful and rewarding, feel less involved in, or energized by, their work, and finally, much less likely to plan to stay at their current job for the next year. There were especially marked differences in the likelihood of burnout, with roughly one in three female respondents with five or less years of experience reporting signs of burnout. This is roughly twice the rate of burnout exhibited by more senior male respondents. Given this group’s heightened likelihood of attrition, we were interested to see that certain firm-led behaviors, like firm leaders providing one-on-one coaching and feedback and including personal and professional growth as a criteria for performance evaluation, we associated with a higher likelihood of planning to stay at one’s job during the first 5 years of an architectural career. We also observed differences in where respondents reported working on the basis of experience level, with those starting their careers more likely than those with more experience to work in firm with 249 or fewer employees, and much more likely to work in firms with 50 or fewer employees. The differences in career perceptions between those beginning their careers and more seasoned professionals was most pronounced in the smallest firms. Compared with more experienced professionals working in firms with fewer than 20 employees, early career professionals were much less likely to plan to stay at their current job for the next year, less likely to report being energized by their work, and less likely to report being satisfied by their work. While junior employees were more likely to take jobs due to learning and professional development opportunities, they were less likely than more senior employees to receive career guidance or advice from a principal or partner within their firm, but more likely to rely on their managers, and their friends and family. Those early in their careers were more likely, on the other hand, to report that someone within their firm acted as their sponsor or champion, actively advocating for their professional growth and advancement. Roughly 59% of those early in their careers reported having a sponsor, compared with 49% of those later in their careers. Senior firm leaders were the most frequently-cited sponsors. Those with five or less years of experience exhibited slightly different social patterns than their more experienced counterparts, with those beginning their careers more likely to report eating lunch with co-workers, and socializing outside of work. Meanwhile, however, those with more experience were more likely to report that they had close friendships at work. There were also differences in the ways in which the most junior practitioners preferred that their employers support firm culture. While social events were the top-rated workplace culture initiative according to junior and more experienced employees alike, those with more than five years of experience were much more likely than their more junior counterparts to believe that sharing company goals and achievements, inviting employees to participate in strategic decision making, holding all-team meetings, and recognizing professional achievements were beneficial to firm culture. This mix of professional growth and strong relationships was strongly correlated with whether or not respondents at the beginning of their careers believed that their work was meaningful and rewarding, with those who didn’t know their firm’s performance evaluation criteria, or who didn’t receive training for new roles, less likely to find their work meaningful and rewarding. Meanwhile, those who shared their firm’s values, were encouraged to share ideas at work, believed that their day to day work was relevant to their long-term goals, and had sufficient autonomy to make the decisions needed to complete their work were most likely to find their work meaningful and rewarding. Help design the 2018 Equity in Architecture Survey! Equity by Design is gearing up for our 2018 Equity in Architecture Survey, and we want your input! This project builds on previous survey research conducted in 2014, and 2016, and promises to set the stage for progress towards equity within the profession in the coming years. Members of the Survey Design Committee will become subject matter experts on one or more research topics, and will be the most intimately involved in the survey design process. This group will work closely with the EQxD Research Chair, and the rest of the core committee to review Equity by Design’s research work to date, as well as outside research, to identify research questions within specified topic areas. Each member of this group will be asked to focus on one-two topics, and will advise the rest of the team on the most pertinent research in those areas. This commitment will last from October-December of 2017, with the possibility of joining the Research Committee for 2018 in January. Focus Group Participants will participate in one-hour long feedback sessions on one or more research topics of their choosing (see list of topics in the form below). Focus Group participants will be asked to offer their input on research topics and questions developed by the Survey Design Committee. Participants are welcome to participate in as many or as few of these calls as they wish. Calls will be held weekly from October to December of 2017. The Survey Outreach team will help the core team organize outreach to potential survey distribution partners, including professional organizations, schools of architecture, and firms to encourage these entities to participate in the survey by sharing it with their mailing lists. This group may also assist with promotional efforts including press releases and blog articles. This commitment will last from November of 2017 through February of 2018. Beta Survey Takers will take the survey approximately a week before it is formally launched, and will then take a follow-up survey indicating questions that were confusing, glitches, etc. As we would like a small, but representative group of Beta Survey Takers from all areas of the profession, not all volunteers will necessarily be asked to pilot the survey. This commitment will last 1-2 hours in late January or early February of 2018. In addition to these opportunities for participating in EQxD’s research project, there are a number of other ways to get involved. Please feel free to use the form below to let us know if you’d like to be contacted for other volunteer opportunities (symposium planning, communications, monthly meeting organization, etc) as they arise. We hope that you’ll join us in planning for the next phase of the Equity in Architecture Research Project! Please use the form below to tell us how you’d like to participate. Which of the following research topics interest you the most (select up to 3)? Licensure - Licensure process, Value of Licensure, etc. Thank you for volunteering! We'll be in touch shortly to discuss next steps. We all know the classic work-life narrative in architecture. Long hours and low pay are treated as an integral part of our professional culture. This expectation, we tell ourselves, is fostered in architecture school, where we develop a love of the craft and a sense of community during long nights and even all-nighters spent perfecting projects and bonding with our classmates. This narrative contends that architecture is a discipline that requires persistence, dedication, and countless hours laboring alone over a set of drawings. Real architects, we tell each other, are those who are willing to put all else aside and work seemingly impossible hours to achieve perfection. The Equity in Architecture Survey tells a very different story about the state of work-life issues within our profession. According to respondents’ self-reported hours, very few members of our profession work anywhere close to 60 -- or even 50 -- hours in an average week. The vast majority of respondents, both men and women, report that work-life is an important consideration in their careers. Still, a significant majority of respondents report that they have allowed their careers to negatively impact their personal lives, and less than half of respondents report that they are able to find time to pursue personal interests outside of work. According to these findings, architects are struggling with weekly work schedules that seem very normal when compared to the myth of the workaholic architect. The data suggests that these challenges are strongly correlated a lack of flexibility in where and when we work, in expectations that we will work as much as necessary to meet deadlines, in a lack of understanding of the criteria used to evaluate our performance, in perceived social cues that urge us to work harder or have our professional commitment doubted, and in the absence of meaningful and rewarding work. The “long hours and low pay” narrative that our field has cultivated isn’t damaging because it encourages most architects to work impossible hours, but instead because it masks and delegitimizes the very real struggles that are associated with a much more typical 40-50 hour work week. In the metrics below, click over the arrows at the top right above the infographics to see the overview analysis for Work-Life Integration. While respondents tended to believe that it was important to strike an appropriate work-life relationship, many reported that they had faced challenges in this arena. Women were were more likely to report having faced a host of work-life conflicts, from poor health and neglected personal duties to turning down travel or even leaving a job. It’s also important to note that our respondents, both male and female, were much more likely to report experiencing personal setbacks in the face of work-life conflict than they were to report making professional trade-offs in these situations. Another way of looking at work-life is by considering burnout and engagement, which are considered to be opposite conditions for the purposes of our data analysis. According to research, burnout is identified by feeling exhausted by one’s work, a lack of focus or involvement in one’s work, and doubting one’s ability to meet expectations. Meanwhile, engagement is characterized by feeling energized by work, feeling involved or focused on work, and believing one has the ability to meet or exceed expectations. Our study showed that most respondents, male and female, were either highly or slightly engaged. Female respondents were slightly more likely than their male counterparts to exhibit signs of burnout. Given the prevalence of work-life conflict, we were surprised to learn that the majority of our respondents worked between 40 and 50 hours a week. This suggests that the average number of hours worked per week may not be the best indicator of whether work-life flexibility is an issue for someone. Clearly, many architectural professionals struggle with work-life challenges, even though most professionals work fewer than 45 hours per week. This suggests that, while it’s important to address extremely long hours, attention should also be paid to the causes of work-life challenge amongst those who are working fewer hours. When considering each of the indicators of work-life quality used in the survey (ability to pursue interests outside work, availability of time to complete work, burnout/engagement, and history of facing work-life challenge), we found that positive work-life perceptions were predicted by finding one’s work relevant to long-term goals, and working in an environment where work-life flex is encouraged through the clear communication of expectations, the availability of work-life benefits, compensation for overtime work, and leaders who use work-life benefits themselves. Interestingly, these qualitative and cultural factors were more predictive of positive perceptions than any specific policy, or even the average number of hours that a respondent reported working. In addition to these top predictors, a number of additional factors were found to be correlated with respondents’ work-life perceptions and experiences. Work environment, career pinch points, work schedule and work-life policies and benefits all bear consideration. Please use the arrows on the upper right side of image below to click through the slideshow and learn more. A respondent’s assessment of one’s workload was another key factor in evaluating work-life flexibility. The top predictors of whether a respondent agreed with the statement “I have enough time to complete my work” were the belief that one’s day-to-day work was relevant to long term goals, being paid more than hourly wage for overtime, and using job sharing. Meanwhile, receiving no overtime compensation, and not knowing performance evaluation criteria were associated with more negative perceptions of workload. Overall, these trends suggest that working in an environment where one’s time is valued -- by making sure that work is relevant to one’s personal goals, and by investing in one’s time either by paying for overtime hours, or by allowing employees to share jobs to allow for part-time schedules -- is critical to managing one’s workload. The top predictors of burnout were not having friendships at work, aspiring to be an unlicensed staff designer, and not knowing the criteria for performance evaluation. Meanwhile, believing day-to-day work was relevant to long-term goals and receiving feedback on an ongoing basis were associated with higher levels of engagement. Overall, the top predictors of whether a respondent reported having made personal trade-offs in the face of work-life challenges were working 46 or more hours per week, being expected to work as much as necessary to meet deadlines, and being paid more than one’s hourly wage for overtime. Meanwhile, having access to in-house or subsidized daycare and reporting that one never worked overtime were associated with decreased likelihood of personal trade-off. In short, workplaces that incentivized or created expectations of overtime were associated with increased likelihood of making sacrifices in one’s personal life in the face of work-life challenge. Meanwhile, the top predictors of whether a respondent reported having made professional trade-offs in the face of work-life challenges were having no friendships at work, not receiving training for new roles, and being a caregiver. Those whose day-to-day work was relevant to their long-term goals, and those who were paid more than their hourly wage for overtime were less likely to have made personal trade-offs. The size of a respondent’s firm was correlated with work-life perception, with respondents who worked in the smallest firms much more likely than those working in the largest firms to agree with the statement “I have the time and energy to pursue my interests outside of work” (55% M| 50% F in XS firms vs. 39% M| 33% F in XL firms). There were not strong correlations between firm size and whether a respondent reported having time to complete their work, exhibited signs of burnout, or had faced work-life challenges in the past. Experience level was a significant factor in predicting a respondent’s work-life prioritization and experiences. Those in the middle of their careers were more likely to value work-life flexibility than either those entering the field or the most seasoned professionals, with over 60% of women with 14-18 years of experience indicating that work-life considerations were “extremely important” to them. While women placed a higher value on work-life flexibility than men at every level of experience, this gap was at its narrowest amongst those early in their careers. This is largely because because junior and mid-level male respondents valued work-life flexibility much more than their more senior counterparts. This suggests that, at least for the younger generations, work-life flexibility is an important issue for all genders. While work-life flexibility was most important to those with 10-20 years of experience, this was also the career stage at which respondents were least likely to believe that their workloads were manageable. Less than half of respondents with 10-25 years of experience believes that they had enough time to complete their work. Similarly, those with more experience were more likely than those early in their careers to report that they had faced work-life challenges in the past. Because this question asked whether a respondent had ever faced these challenges, and not whether the respondent was currently facing them, it is somewhat unsurprising that those with the longest career histories were most likely to report facing challenges. The prevalence of these challenges was, however, staggering - 79% of men, and 86% of women, with 14-25 years experience reported that they had made either personal or professional trade-offs in response to work-life challenges. Firms have a role to play in shaping their employees work-life experiences. A number of factors, from how hours are determined to whether employees are allowed or even encouraged to take time off, were correlated with respondents’ work-life perceptions and experiences. Please use the arrows on the upper right side of image below to click through the slideshow and learn more. How are Your Hours Determined? Respondents’ work schedules were determined in a variety of ways. The majority of respondents (77%) reported that they were expected to work as much as necessary to meet deadlines, suggesting that irregular schedules, with peaks in working hours around deadlines, and less hours at other times, might be the norm for architectural professionals. Compared to those whose hours were determined in another way, those who reported that they were expected to put in as many hours as necessary to meet deadlines were 12% less likely (-12% M | -13% F) to believe that they had time to pursue their interests outside of work, 11% less likely to believe that they had enough time to complete their work (-12% M | -10% F), and 13% more likely to have faced work-life challenges (16% M | 11% F). How are You Compensated for Overtime Work? While potentially long hours were expected of most respondents as needed to meet deadlines, few received compensation for overtime work. Overall, 59% of practitioners reported that they were not compensated in any way for overtime work. White men were least likely to be compensated for overtime work, potentially because white male respondents were more experienced on average, and were more likely to be salaried (vs. hourly) employees. Of those who were offered compensation for overtime work, comp time, or regular business hours off in exchange for overtime hours worked, was the most common form of compensation. Only 23% of respondents received monetary compensation, whether in their paycheck or through a bonus, for overtime work. According to respondents, firms are offering a variety of benefits and policies intended to to promote work-life flexibility. Most respondents reported that they had flexibility in terms of start and end times for work (“core hours”), and firm-provided technology to support working from home. Other common work-life benefits included the ability to work from home during normal business hours, comp time (time off in exchange for overtime hours worked), part time schedules, and a compressed schedule (40+ hours/week, with more than 8 hours on some days of the week, and a regularly scheduled full, or partial day off). White male respondents were more likely than women and people of color to report having access to every one of these work-life benefits. The vast majority of respondents reported that they had used work-life benefits within the last three years, but there was a great deal of variety in terms of which work-life benefits respondents reported using. White males were also more likely than others to report using the three most commonly offered work-life flexibility benefits (core hours, technology to support remote work, and working from home). People of color were less likely than white respondents to report using each of the most common benefits. Female respondents, meanwhile, were more likely than male respondents to use comp time. When asked which benefits were most helpful in promoting work-life flexibility, the most common responses were: “core hours,” “technology to support remote work,” and “comp time.” in other words, respondents most likely to value benefits that offered them flexibility in terms of where and when they worked, rather than benefits that allowed them to work less hours overall. Overall, 49% of respondents reported having worked some kind of alternative schedule over the last 3 years. For the purposes of our analysis, the following types of schedule were considered “alternative”: compressed (40 hours/week, with some days longer than 8 hours, and some days with fewer or no hours), telecommuting (working from home during regular business hours), part time (less than 40 hours per week), and job sharing (two or more people work part time hours to do the equivalent of one full-time employee’s workload). There wasn’t much variation in likelihood of working an alternative schedule, but white men were actually slightly more likely than other respondents to have worked an alternative schedule. The most common type of alternative schedule was working from home, while job sharing was the least common. The most common reasons that respondents reported working alternative schedules were overall flexibility, increased productivity, and to pursue personal interests. Female respondents were more likely than male respondents to report working an alternative schedule in order to provide childcare. Overall, most respondents who worked an alternative schedule reported that the schedule hadn’t had any adverse impacts on their career. White men were least likely to report adverse impacts, while non-white men, white women, and non-white women were each successively more likely to report adverse impacts. The most commonly reported adverse impact was a belief that co-workers perceived alternative schedule users as less committed to their careers. Women who had worked alternative schedules were twice as likely as men who worked these schedules to report this adverse impact. Respondents’ perceptions of the ways in which their alternative schedules had impacted their careers varied by alternative schedule type. Part-time schedules were associated with the highest probability of believing that one’s schedule had adversely impacted one’s career, with less than half of respondents reporting no impacts. Women were much more likely than men to report being adversely impacted by their schedules (65 % of men reported no impacts vs. 36% of women). The most common reported impact of working part time was a reduced rate of compensation. Amongst our respondents working in firms, we found that it was relatively rare to have taken off a month or more in the past, either by taking a leave of absence, or by leaving a job entirely. However, amongst those who had never taken this time off, we found that only 31% of our male respondents, and just 19% of our female respondents had never wanted to do so, and didn’t anticipate wanting to take a month or more off in the future. With so many practitioners hoping to take time away from a job in architecture, employers would do well to consider sabbatical or leave of absence programs. Amongst those who had taken a leave, the most common reasons were childbirth, having been laid off, and taking a personal leave or sabbatical. Women were much more likely to have taken a leave for childbirth, with 53% of white female leave-takers, 37% of non-white female leave-takers, 7% of non-white leave-takers, and 5% of white leave-takers reporting taking a month or more for childbirth. There was considerable variation in the amount of time that leave-takers spent away from the field, with a 20th percentile leave length of 2 months, a median leave-length of 5 months, and an 80th percentile leave length of 18 months. Male respondents took slightly shorter leaves, on average, than female respondents. White male leave-takers were much more likely than women and people of color to report that their leaves had caused no adverse impacts on their careers (59% of White Males | 52% Non-White Males | 43% White Females | 41% Non-White Females). The most commonly reported adverse impacts were delayed advancement or promotion and reduced rates of compensation. A history of leave-taking was also correlated with measures of professional success like salary and compensation. Men who had taken a leave in the past made less, on average, than those who had never taken time away. Similarly, women who had never taken a leave in the past made more on average than those who had taken a leave. Meanwhile, women who had never taken a leave were much less likely than leave-takers at nearly every level of experience to be a principal or partner. Amongst those with more than 13 years of experience, men who had never taken a leave were more likely to hold these leadership positions. There were no significant differences in career perceptions amongst leave-takers and those who had never taken a leave. Work-life considerations factor strongly into the architectural professionals’ career decisions, regardless of their identity. The vast majority of our respondents reported that it was “extremely” or “very important” that their job provided work-life flexibility, integration or balance. Work-Life perceptions were strongly correlated with gender, with women much more likely to report having faced work-life challenges, and less likely to have time to pursue personal interests outside of work. Access to, and utilization of, work-life benefits was strongly correlated w/ both race and gender, with non-white respondents less likely to have access to these benefits than white respondents. Work-Life considerations were often most important for those with 10-20 years of experience, but industry response hasn’t met demand. This group utilized work-life benefits at the highest rate of any group, but still struggled with low levels of satisfaction with their workloads, and their work-life flexibility. Work Environment was also strongly correlated with at least some work-life considerations, with those in the largest firms expressing the lowest satisfaction w/ their ability to pursue interests outside of work. Most importantly, the strongest predictors of work-life experience were related to workplace culture: we found that positive work-life perceptions were predicted by finding one’s work relevant to long-term goals, and working in an environment where work-life flex is encouraged through the clear communication of expectations, the availability of work-life benefits, compensation for overtime work, and leaders who use work-life benefits themselves. Our next quarterly topic will be a timely discussion about "Charting Your Path", which spans several related areas influencing talent retention. These include - professional satisfaction, aspirations for career progression and professional development, the likelihood of burnout vs. engagement, work/life flexibility and caregiving. The expression "work–life balance" was first used in the United Kingdom in the late 1970s to describe the balance between an individual's work and personal life. In the United States, this phrase was first used in 1986. Well, it's 2017 and in 30+ years that this term has been referenced, mis-used, and over-used; the quest for a harmonious state of equilibrium between our life and work remains illusive. Moreover, Work/Life balance - the control and separation of the two sides has become disingenuous given the rapid evolution of technology and connectivity that has blurred the lines of where and how traditional work is being done. In the context of equitable practice, the concept of "Charting Your Path" expands the discussion beyond reactionary approaches into channeling our ability to be proactive in problem solving. 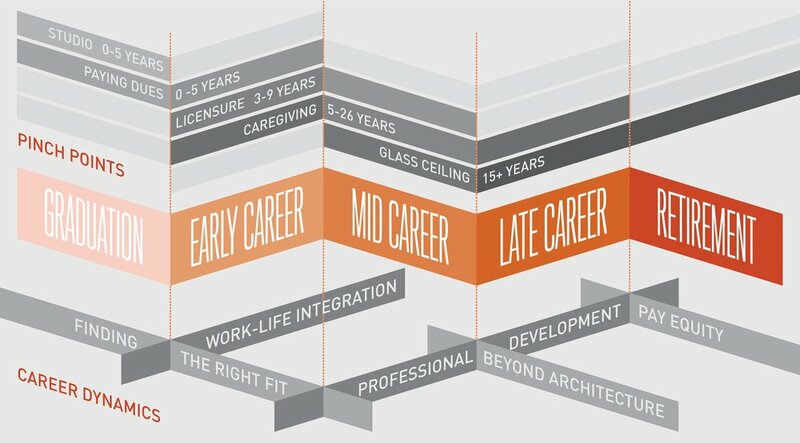 The key findings from the 2016 Equity in Architecture Survey reveal Career Dynamics and Pinch Points that could pose challenges in your career. By understanding the factors that influence career success, we can explore the skills needed to "prepare and pivot" when difficulties arise. We will also discuss strategies for self-assessment to chart your progress (career mapping) and for being self-aware of how that relates to your personal and professional goals. Finally, we will share active ways to discuss adopting equitable practices in the workplace to minimize barriers and maximize the potential success for all professionals. Caregiving - Whether caring for children or others, what are the impacts of reduced workhours? Work/Life Flexibility - Within the Work/Life Dichotomy, how do we reconcile meaningful work and the need for personal restoration? This week, please join us on, Thursday August 17th at AIASF from 6pm-8pm for our 3rd EQxD “U” Workshop "Charting Your Career Path: Creating a Roadmap for Success", where we will explore the many possible ways to conceptualize meaningful work that does not come at the cost of our personal health, wellness, and happiness. Panelists, Jill Bergman AIA of HDR Inc., and Lilian Asperin, AIA of WRNS will share how they set goals for navigating career goals, pivots and unexpected transitions with graphic mapping tools to guide key decisions. They will also guide participants in reflecting on their own approach, how it is working for them and re-evaluate areas needing improvement. 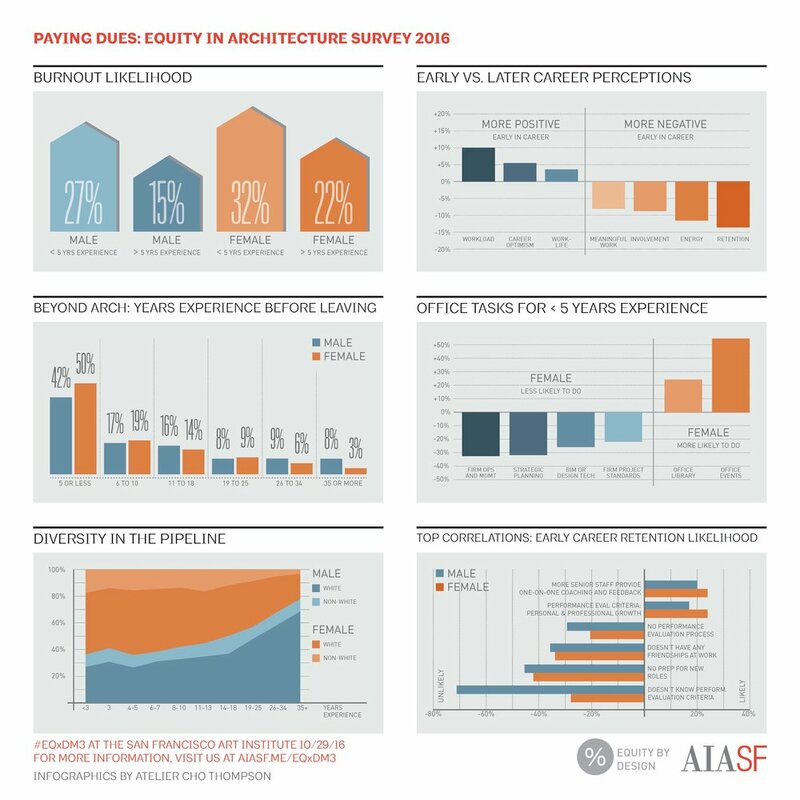 This is the third installment in a three-part series that explores what the data from the 2016 Equity in Architecture Survey tells us about Pay Equity in the architectural profession. Article 1 “Pay Equity Overview” and Article 2 “From ‘Equal Pay for Equal Work’ to Pay Equity” provide a useful context for understanding this article. Over the last two weeks, we’ve published data that illustrates just how far our industry has to go in order to close the wage gap. There are, however, steps that each of us can take to work towards more equitable compensation practices. In today’s article, we’ll take a look at policies, behaviors, and practices that the 2016 Equity in Architecture Survey indicates are associated with higher wages, and discuss the roles that individuals and firms can play in adopting these equitable practices. This article isn’t intended to provide a comprehensive guide of all of the best ways to close the pay gap or promote pay equity. There are a number of firm-led behaviors practices, like pay audits, that won’t be covered in today’s article because we didn’t collect data on these policies. We recommend looking at additional resources like Parlour’s “Pay Equity” guide before deciding on the best ways to tackle pay equity in your firm or career. Data from the survey shows that there are both firm-led and individually-led behaviors that are strongly correlated with earnings. Certain kinds of personalized attention and feedback from senior firm leaders, whether through mentorship or sponsorship, or through addressing particular topics in performance reviews, were strongly correlated with increased earnings. Meanwhile, individuals’ work schedules and knowledge of the review process were most strongly correlated with earnings. The kinds of attention that firm leaders pay to their employees are strongly correlated with employee salary. After adjusting for experience, individuals who received feedback on their embodiment of firm values, their leadership traits, and their business development skills during the performance review process made more, on average, than those who did not receive this type of feedback. Meanwhile, those individuals who reported that their firm did not have a performance review process, or who did not know the criteria for performance evaluation, made less, on average. In all cases, the performance review process was more strongly predictive of male respondents earnings than of female respondents’ earnings. As discussed in the last article, individuals’ schedules were strongly predictive of earnings. Respondents of both genders who reported that they never worked overtime made substantially less, on average, than those who did reported working overtime, with male respondents who never worked overtime averaging about $23K less than those who did, and women who never worked OT averaging $17k less. Meanwhile, female respondents faced a steeper penalty for working a part-time schedule, with part-time female employees averaging $13k less than full-time female employees while part-time male employees averaged $8k less than full-time male employees. Receiving career guidance from a senior leader within one’s own firm was also strongly correlated with higher annual earnings. Amongst respondents with 8 or more years of experience, the wage difference associated with mentorship was larger for male respondents than for female respondents, suggesting that men may reap larger financial rewards from their mentor-mentee relationships with firm leaders. Respondents who indicated that their had a sponsor, or someone who advocated for them, within their firm also earned more, on average, than those who did not have such a person. Once again, the identity of one’s sponsor was a significant predictor of earnings. In this case, however, having a peer advocate was at least as beneficial as having an advocate in management, especially amongst more experienced respondents. This may be because many respondents with more than 18 years of experience were in management themselves, suggesting that even firm leaders need peer advocates within their organization’s management structure. More analysis would be required to explore why respondents with peer advocates made more, on average, than those with advocates in mid-level management. A respondent’s history of negotiation was another important predictor of wages. The survey data shows that male and female respondents who had been unsatisfied with their salaries in the past were roughly equally likely to have negotiated their offers. However, male negotiators were slightly more likely to have success at the negotiation table, and earned more than female negotiators. Negotiators of both genders, however, earned more, on average, than those who had never negotiated their salary, suggesting that negotiation is an important tool! Contrary to conventional wisdom, female respondents were actually more likely to indicate that they had negotiated their salary in the past. Most of this difference, however, can be attributed to similar difference in male and female respondents’ likelihood of saying that they had always been satisfied with their salary offers. In other words, women were more likely to negotiate, but only because they were less likely to be offered a satisfactory wage in the first place. Amongst those who had negotiated their salary, respondents of both genders had high rates of success, with roughly ⅔ of respondents receiving either the full amount that they had requested, or an increased offer that was smaller than their initial bargaining position. 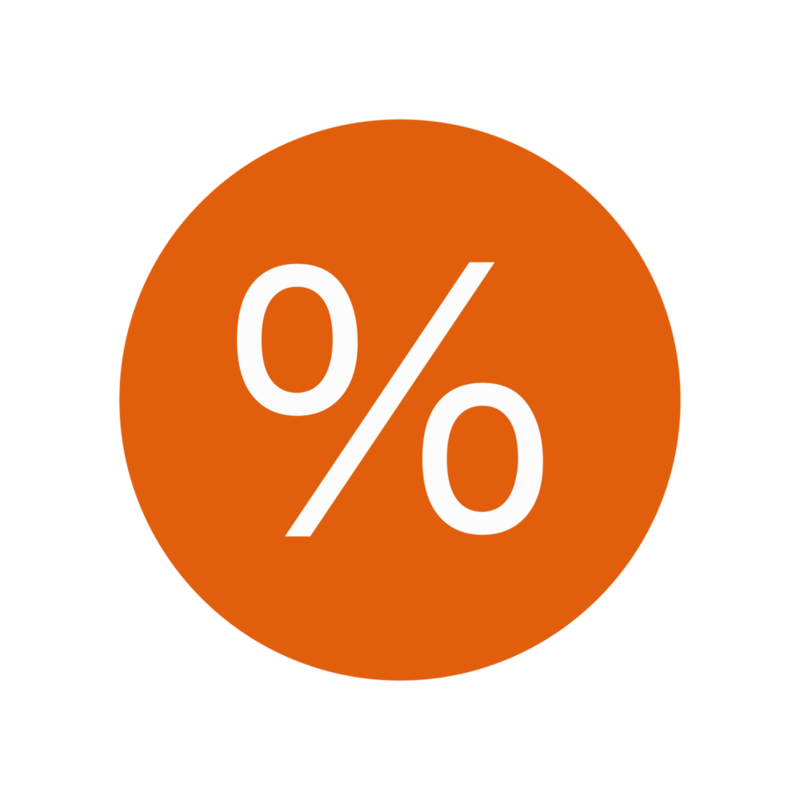 Male negotiators, however, were slightly more likely to receive the full amount that they had requested, while female negotiators were slightly more likely to receive a partial amount. Compared to those who were dissatisfied, but did not negotiate, and even to those who had always been satisfied with their salary offers and had never felt the need to negotiate, negotiators of both genders made more, on average, at nearly every level of experience. Compared to those who had always been satisfied, these increases were quite modest, however, for female negotiators. Male negotiators with more than 13 years of experience, on the other hand, made significantly more than those who had always been satisfied with their earnings. This suggests that female negotiators were adept at negotiating for earnings that were considered “fair”, while male negotiators tended to pull in salaries well above the average. When describing the gender wage gap, we often hear basic comparisons of men’s and women’s average salaries, like “Women make 80 cents for every dollar a man makes.” While this is technically accurate, it isn’t the most useful way of describing why there’s a gender pay gap, or what we can do to fix it. According to Harvard Economist Claudia Goldin, the wage gap is better understood by applying the idea of “equal pay for equal work.” In other words, the wage gap should be quantified as the difference in men’s in women’s salaries after we’ve controlled for differences in work setting, job function and responsibility, experience level and training. These “apples to apples” comparisons show that much of the gender pay gap can be explained by differences in men’s and women’s work settings, schedules, roles, and responsibilities. Controlling for these variables (or “correcting” the earnings ratio, according to Goldin) doesn’t show why women would systematically make professional choices that are financially disadvantageous to them. Examining the wage gap through the lens of pay equity, on the other hand, requires us to question these “apples to apples” comparisons further. Do all workers have the opportunity to make professional choices that have been shown to be financially advantageous, and are these decisions rewarded evenly? Do we ascribe inflated value to characteristics of work that are commonly seen as “white” or “male”? Once we’ve seen that differences in pay are directly correlated to differences in how, where and when different demographic groups tend to work, can we rethink the ways in which we ascribe value to work in order to devise compensation systems that are more just? Goldin’s framework for understanding the wage gap does help to uncover some of the ways in which work seems to valued within our profession. The major drivers of the pay gap can be understood through two forces: Occupational Segregation and In-Sector Differences. Occupational segregation describes the phenomenon whereby men are more likely to work in high paying industries and while women are more likely to work in lower paid industries. According to Goldin’s research, occupational segregation accounts for only about 35% of the pay gap amongst college graduates, with the other 65% of the gap deriving from in-sector differences, including temporal flexibility. As noted in the first article in the series, this seems to be one of the reasons that women in the “Beyond Architecture” population made less, on average, than men who work outside of a firm setting. More significant to the pay gap in the US workforce are in-sector differences, which include differences in roles, responsibilities, and work environment within industries. These wage drivers, which account for the bulk of the wage gap in the US, will be the focus of today's article. The largest contributor to in-sector differences is what Goldin calls “temporal flexibility.” Women are more likely than men to take jobs that provide reduced hours, flexibility in hours, or work-life benefits like the ability to work from home or robust leave policies. These flexibility options, she has found, are associated with lower hourly earnings, indicating that women pay a price for access to flexibility. Goldin’s work on the pay gap illustrates that the wage gap runs deeper than individual employers discriminating against individual workers when making compensation decisions (although this does happen!). Instead, the pay gap must be understood as a complex matrix of forces that produce gendered differences in workers’ choice of market sector, occupation, work setting and flexibility. In other words, simply saying that we must provide “equal pay for equal work” ignores the fact that gender is deeply entwined with the supposedly neutral criteria by which we value work in the first place. In many cases, there were significant wage advantages associated with choosing to work in particular settings – particularly within the largest firms, and within certain cities. These advantages were more significant for men than they were for women. Temporal flexibility was identified as a major factor in pay inequality within the industry. Mothers made significantly less than fathers with comparable levels of experience, but also reported working less hours on average. Closing the wage gap amongst caregivers is likely to require more equal distribution of caregiving duties, as well as the implementation of policies and procedures whereby output and value provided to one’s firm are at least as important as billable hours in determining earnings. As we saw in our last article, there are also significant differences in pay on the basis of race and ethnicity, with black or African American respondents earning less than other respondents at nearly every point in their careers. Because this group is underrepresented in the field, and in our survey sample, it wasn’t possible to perform the cross tabulations that you’ll see in today’s article on the basis of individual racial or ethnic group. We hope to oversample this population in our next round of research so that we can obtain statistically significant results from the more detailed types of analysis that the 2016 sample allows us to do on the basis of gender. Our hope is that this will allow the AEC community to better understand the dynamics that are driving the race and ethnicity-based pay gap and other important issues. Several characteristics of one’s job were strongly correlated with either elevated or depressed annual earnings. After adjusting earnings to account for differences in average levels in experience across populations, we found that the strongest predictors of in-sector differences in earnings were related to work setting, and to professional title. Principals and partners made approximately $34,000 more annually than non-licensed designers with comparable experience levels, while titled leaders other than principals or partners made approximately $11,000 more, and licensed architects made approximately $6,000 more. These factors contribute to the wage gap in architecture because female respondents at every level of experience were less likely to hold titled leadership positions within their firms. Meanwhile, those working in the smallest firms and offices made less money, on average, than those working within larger organizations. Again, because female respondents were more likely than male respondents to work in firms with 20 or fewer employees, the reduced earnings amongst those who worked in these settings contributed to the overall pay gap. In addition to job title, many factors related to a respondent’s skills, knowledge, and experience – broadly described as human capital – were predictive of annual earnings. In many cases, financially advantageous attributes, like having graduated from a top-10 architecture program, made a bigger difference in men’s salaries than women’s salaries. Please use the arrows on the image below to click through the slideshow and learn more. The single best predictor of earnings was the number of years of experience that one had in the profession, with each year of experience worth approximately $2700 in earnings. There was, however, a great deal of variation in average earnings amongst those with equivalent experience, with the highest degree of variability amongst those with the most experience. The infographic above shows the median salary for each experience level, as well as a shaded area representing the middle 80% of earners in each experience group. This demonstrates that, while there is a large degree of overlap between men’s and women’s salaries, the highest male earners in most experience categories had higher wages than the highest female earners. Conversely, the lowest female earners with more than 10 years of experience made less than the lowest male earners with comparable levels of experience. The Equity in Architecture Survey indicated that post-secondary degrees have become more common amongst architectural graduates in recent years. This movement towards higher levels of education wasn’t, however, correlated with higher earnings. At every experience level, we found that earnings were comparable for those with and without graduate degrees, meaning that men with Bachelor’s degrees earned more, on average, than women with Master’s degrees. One’s professional credentials were also important predictors of salary. Licensed architects made more, on average, than their unlicensed counterparts at every level of experience, with the largest differences in earnings amongst those with the most experience. The salary increase associated with licensure was greater for male respondents than it was for female respondents. Adjusted for experience, licensed men receiving a boost of approximately $8k per year while licensed women received a boost of only $4k per year. Membership in a professional organization was also correlated with increased earnings for respondents of both genders. AIA, NCARB, and USGBC members made more than those who did not belong to any professional organizations at every level of experience. It’s worth noting that this correlation doesn’t necessarily prove that membership in a professional organization increases one’s earning potential. Each of these organizations has annual dues, which may be easier for those with elevated earnings to pay. Respondents’ self-identified professional strengths were also correlated with differences in earnings. Those who reported specialized strengths in “business and finance”, “negotiation”, or “mentorship and teaching” averaged the highest earnings. Meanwhile, those who listed more general traits like “work ethic and drive”, “creativity or design”, or “efficiency” as their greatest strengths made the least, on average. The largest gender-based earnings gap was between men and women who listed “negotiation” as a strength, with skilled male negotiators earning $37K gross, or $15K experience-adjusted, more on average than skilled female negotiators. While there is anecdotal evidence that young practitioners routinely move between firms in pursuit of salary increases that exceed typical annual raises, the data from the 2016 Equity in Architecture demonstrates no significant correlation between one’s history of switching firms and average earnings. Meanwhile, the data shows that, amongst those with 8 or more years of experience, a longer tenure at one’s current firm was associated with higher pay. Together, these statistics demonstrate that, on average, staying with a single firm over a long time period is more financially rewarding than frequently moving between firms. In addition to one’s professional credentials and history, physical work setting was correlated with one’s earnings. Both geographic location and firm size were associated with differences in earnings, with those working in the largest cities, and the largest firms making the most, on average. Both firm size and location also seemed to be drivers of inequity, with male and female respondents equally likely to work in large cities and firms, but with male respondents reaping most of the financial benefits associated with working in these lucrative settings. Please use the arrows on the image below to click through the slide show and learn more. The geographic location of one’s firm was significantly correlated with both overall earnings, and with the size of the wage gap. Those working in major cities made more, on average, than those working outside of these metropolitan areas. After normalizing average salaries in the five most common locations from the survey to the national average of 14 years of experience, the highest average salaries were observed in San Francisco ($105,031 per year for men and $93,015 per year for women) and New York City ($102,718 annually for men and $94,331 for women). The gender wage gap also varied considerably by office location, largely because men’s salaries varied considerably by geographic location while women’s salaries were more consistent across regions. The largest salary wage gaps were generally observed in the locations where men’s average salaries were highest, while smaller gaps were observed in locations where men’s average salaries were lower. In San Francisco, where experience-adjusted male respondents’ salaries were the highest in the nation, the average experience-adjusted female made $0.89 for every dollar a man earned. Meanwhile, in Seattle, WA, where the average experience-adjusted salary was actually lower than the national average, the average experience-adjusted female actually made more than the average experience-adjusted male -- $1.01 for every dollar that a man earned. Similar to the national pattern, the wage gap in top metropolitan regions was at its widest amongst those with the most experience. In San Francisco, where the average wage gap was wider than the national average, men and women with 10 or fewer years of experience made comparable amounts, while, the wage gap amongst those with more than 10 years of experience was considerably larger than the national average. Much of this difference can be attributed to the fact that experienced male respondents working in San Francisco made considerably more than the national average, while experienced women working in this location made only marginally more than the national average salary. We also saw that firm size was correlated with wages, with those working in the largest firms making the most money on average. However, the relative difference in wages based on firm size was much smaller amongst female respondents than it was amongst men. Smaller, but still significant, differences in average annual pay were observed within most size categories after adjusting the data to account for differences in average experience level between male and female respondents. Again, the largest pay gap was observed within the largest firms. Male respondents working within these settings tended to make far more than the national average salary, while female respondents saw only minor increases above the average female salary for opting to work in these settings. In addition to wage differences related to workplace, there were significant wage differences observed that were related to job descriptors such as roles and responsibilities, compensation structure, and the average number of hours worked per week. Please use the arrows on the image below to click through the slideshow and learn more. One of the most important ways of looking at the wage gap is to assess whether respondents are receiving equal pay for equal work. Our data showed a gender-based wage gap for every project role, with the largest gap between male and female design principals. Male respondents also made more, on average, than female respondents with equivalent project responsibilities. This was true for every project responsibility listed in the survey. The largest gross difference observed was for management of client relationships (pay gap of $26k/year gross, or $6k experience adjusted). The largest experience-adjusted pay gap was observed amongst those responsible for design leadership (pay gap of $22k/year, or $7k/year experience adjusted). Other than level of experience and job title, the largest predictors of one’s salary were whether and to what extent one adopted a flexible schedule. Female respondents who prioritized work-life flexibility or who used certain types of work-life benefits faced heftier financial penalties than men who reported comparable views or used similar programs. Women were more likely to use these benefits, and especially to report working reduced schedules, which contributed significantly to the absolute differences in men’s and women’s average earnings. Meanwhile, men with more than 10 years of experience made more per hour than their female counterparts, indicating greater financial incentives for men than for women to put in long hours. Please use the arrows on the image below to click through the slide show and learn more. A side-by-side comparison of respondents’ experience-adjusted average salaries based upon gender and response to the question “How important is it to you that your job provides work-life flexibility, integration, or balance?” demonstrates that those who place higher importance on work-life flexibility, integration, or balance make less, on average, than those who view the issue as less important. Moreover, women’s average earnings vary considerably based on their response to this question, while men’s salaries vary more subtly based on work-life importance. This suggests that work-life prioritization is correlated with salary, and that decisions to prioritize work-life flex impact women disproportionately. How Important is Work-Life Flex to You? This phenomenon is particularly significant because female respondents were more likely than male respondents to report that work-life considerations were “extremely” or “very important” to them, and were less likely to report that they were “not too important”, or “not important at all.” Just three female respondents indicated that work-life flex was “not important” to them at all as a consideration. Use of work-life flexibility benefits was correlated with earnings, with the use of benefits that entailed working fewer hours correlated with decreased earnings, and the use of benefits that facilitated working outside of the office correlated with increased earnings. Women averaged lower earnings than men, regardless of which benefits they used. There was an interesting gendered difference in the pay of those who used schedule flexibility benefits like comp time, core hours, and compressed schedules. Each of these benefits allows a user to trade time away from the work during some regular business hours for work conducted outside of the normal 9-5 workday. When adjusted for experience, men who reported using these benefits made more than men who said that they hadn’t used any work-life benefits. Meanwhile, women who used these benefits earned the same amount, or slightly less than women who reported using no work-life benefits. All of this suggests that the average number of hours that one works, when coupled with experience level, is highly predictive of wages. In fact, respondents’ calculated hourly wages, which were derived from the average number of hours that a respondent reported working per week and reported annual earnings, were comparable for men and women with 10 years of experience or less. However, there were significant gender differences in hourly wages amongst more experienced professionals, with women earning less money per hour than male respondents. The smaller gender difference between hourly wages than between absolute earnings suggests that female respondents reported averaging fewer hours per week. It’s worth considering why women might average fewer hours per week, and to ask ourselves whether a system whereby earnings are so heavily focused on the number of hours, and particularly overtime hours, is inherently biased against women, who tend to bear the load of caregiving and are often less able to work overtime due to these commitments. Are hours worked really the best measure of the value that one provides to a company? It’s not something that we can answer with our survey data, but something that we would like to research further in the future! Finally, family life was an important predictor of pay, with caregiving responsibilities closely tied to average earnings at every point in one’s career. In architecture, as in other fields, mothers earn less, on average, than women without children, regardless of experience level. Meanwhile, fathers out-earn men without children. Please use the arrows on the image below to click through the slideshow and learn more. Parenthood was an important predictor of earnings, largely due to differences in mothers’ and fathers’ reported caregiving responsibilities, and the work settings and schedules that they chose in order to accommodate these responsibilities. We saw that, while men and women without children had similar average salaries by years of experience, fathers made more, on average, than men without children, while mothers made less, on average, than women with children. We saw additional evidence for the idea that childcare places an undue financial burden upon working women when we compared the experience adjusted salaries of men and women who reported working an alternative schedule (part time, comp time, core hours, or compressed) based on their reason for working that schedule. Men who chose an alternative schedule to accommodate childcare made the most money, on average, while women who worked one of these types of schedules to accommodate childcare earned the least, on average. The timing of the birth of one’s child relative to one’s professional development was significant. By subtracting respondents’ children’s ages from their level of experience, we were able to approximate their level of experience at the time of the birth of their children. This analysis revealed that fathers’ salaries were comparable to, or exceeded, those of their counterparts without children, no matter when in their career their oldest child had been born. Those who had become fathers when they had four or fewer years of experience made less, on average, than those who had become fathers later in their careers. Meanwhile, mothers tended to make less than their counterparts without children at most stages in their careers. The only exception was amongst women who had become mothers with 8-10 years of experience. These women made comparable amounts to, or even more than, their counterparts without children. Amongst female respondents, patterns in earnings related to when one’s children were born were even more significant when we considered a respondent’s experience level at the time of the birth of her last child. Women whose youngest child was born when they had seven or fewer years of experience in the field made substantially less, on average, than women without children as well as women who had finished giving birth later in their careers. This difference in earnings was at its largest amongst those with the most experience, suggesting either that the penalties related to motherhood were much more significant in the past than they are today, or that the impact of having children at the beginning of one’s career lingers late into one’s career. Like their female counterparts, men who had finished having children early in their career made less, on average, than fathers who had amassed more professional experience before the birth of their last child. However, these differences in salary on that basis of work-life sequencing were far smaller for fathers than they were for mothers. EQxD Actions Re-Post - Know your Worth! Happy Thursday, Equity Champions! This week, we're exploring Pay Equity by sharing findings from the 2016 Equity in Architecture Survey. We'll have another of these articles ready to share tomorrow. As we explore the data on Pay Equity, it's also important to consider the steps that each of us can take to advocate for ourselves and others. Action #9 from our EQxDActions Series offers a glimpse at the steps that you can take to determine whether you're being compensated appropriately, and to negotiate a raise if appropriate. Click on the link below to read more! It’s not just about negotiating an individual’s salary, but also about building a skill set that is invaluable to any architecture firm. If you are not building your negotiation skills, you are leaving money on the table for client fee proposals and additional services. You also won’t be advocating for your clients with contractor’s change orders.